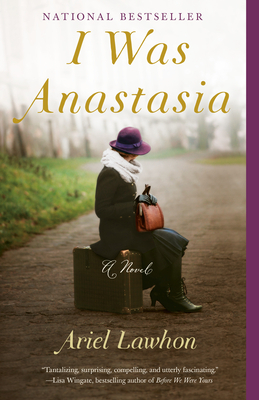 An enthralling feat of historical suspense that unravels the extraordinary twists and turns in Anna Anderson's fifty-year battle to be recognized as Anastasia Romanov. Is she the Russian Grand Duchess or the thief of another woman's legacy? ARIEL LAWHON is a critically acclaimed author of historical fiction. She is the author of The Wife the Maid and the Mistress, Flight of Dreams, and I Was Anastasia. Her books have been translated into numerous languages and have been Library Reads, One Book One County, and Book of the Month Club selections. She is the co-founder of SheReads.org and lives in the rolling hills outside Nashville, Tennessee, with her husband, four sons, black Lab, and a deranged Siamese cat. Both pets are, thankfully, girls. "[Lawhon's] effortless, eloquent prose transports the reader via a dramatic, suspenseful and satisfying work of historical fiction...Lawhon brilliantly employs an inventive and non-linear dual narrative to tell the tale of how Anastasia would become Anna Anderson, or, perhaps, how Anna became Anastasia....In the end, what Lawhon does so convincingly is shake up our notion of identity. And not just that of Anastasia and Anna. Are we who we say we are, or who others believe us to be? It's a question that lingers long after the final page." "I Was Anastasia is a wild train trip through time. The doors swish open here, then there, scenes sometimes racing by, sometimes drifting far into the mysterious lives of Anastasia Romanov and Anna Anderson. Every view is tantalizing, surprising, compelling, and utterly fascinating. Ariel Lawhon unfolds a complicated story with skill, style, and compassion." "A young Tsarina traveling towards tragedy and an aging Grand Duchess penniless and betrayed. Twin stories so gripping you will believe history itself can be rewritten. Told with masterful intensity and moments of true human compassion." "Ariel Lawhon is a masterful storyteller; I Was Anastasia is a wild ride, extravagant with its vivid sensory experiences and page turning suspense. Inspired by history, and infused with imagination and intrigue, this novel satisfies with every twist and turn. I was both captivated and enchanted; I will carry this story—from its beguiling opening to its catch-my-breath ending — in my heart and imagination for a long, long while." "The fate of the Grand Duchess Anastasia, youngest daughter of the last Tsar, is an old mystery that never gets old. In the hands of Ariel Lawhon, it springs to life again, challenging everything we believe about what we remember and who we are. Was Anna Anderson really the only survivor of the Romanovs or was she a persistent fraud? Somehow, Lawhon, a masterly writer, not only leads her readers to ponder this riddle, but to care about it as well. This is a deft and deeply moving saga." "I don’t know what’s most impressive about I Was Anastasia: the wildly inventive structure, the ferocious heroine (or is it two? ), or the dark, twisted questions it raises about the stories we tell—both to others and to ourselves. Ariel Lawhon has written a gorgeous, haunting puzzle of a book that will grip you until the final page."